WASHINGTON — Two House Republicans over the last two days have invoked Adolf Hitler and the Nazi Party in partisan Hill debate, using the reference to attack Democrats and the media and to criticize the recent investigation into the Trump campaign's alleged ties to Russia. 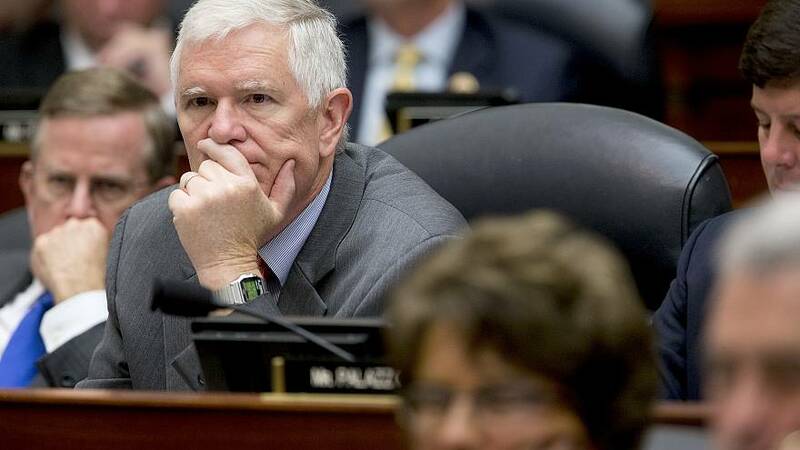 Rep. Mo Brooks, R-Ala., on Monday — the day after attorney general Bob Barr submitted his summary of special counsel Robert Mueller's Russia investigation report — drew from the German leader's writings to attack congressional Democrats and the "fake news media" as having lied throughout special counsel Robert Mueller's Russia probe. "A 'big lie' is a political propaganda technique made famous by Germany's national socialist German Workers Party," Brooks said on the House floor. "For more than two years, socialist Democrats and their fake news media allies, CNN, MSNBC, The New York Times, Washington Post and countless others have perpetrated the biggest political lie, con, scam and fraud in American history." Brooks continued by reading a passage from Hitler's book 'Mein Kampf' about the utility of "colossal untruths" on the House floor, saying that he was going to quote "from another socialist who mastered 'big lie' propaganda to a maximum and deadly effect." Though Brooks's intent was to paint President Donald Trump's opponents as socialists like Hitler, the paragraph he read from Hitler's writings accused Jews of accepting falsehoods about Germany's loss in World War I and peddling them widely. The Anti-Defamation League quickly criticized the remarks. "It's unconscionable for a member of Congress to demonize an opposing party by claiming it's comparable to Nazism," the organization tweeted. "The vicious Nazi regime was responsible for the murder of 6 million Jews and millions more. This is dangerous and @RepMoBrooks must apologize." NBC News did not immediately receive a response to a request for comment from Brooks's office. "I think the potential abuses and past abuses of the FISA courts and these warrants are an area where the country's at risk..." he said. "The potential is out there for another Hitler, socialist like Hitler to come along, and like I said, it won't be Trump." Rep. Steve Cohen, D-Tenn., pushed back, saying that what the Gohmert had said "offends me as a Jewish person." "They were Nazis who killed Jews, and I would get offended when you compare socialists to Nazis and then put it out here," Cohen said. Gohmert said the term was justified: "Well, it's what they were, and I'm sorry that we need to do everything we can to avoid another Holocaust, and I'm sorry the man was offended by the term. Quit using it," he said. Earlier this year, the chamber voted to condemn Rep. Steve King, R-Iowa, for controversial remarks he made to the New York Times regarding the rise of white supremacy and House GOP leaders removed him from his committee assignments.